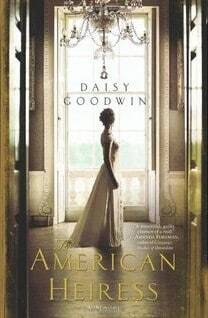 I have just finished reading Daisy Goodwin’s The American Heiress and I feel like I have died and gone to Jane Austen heaven. If there is any book I have read that reminds me of Jane Austen, this has to be it. This is the story of Cora Cash. She is rich beyond comprehension and would equal the status of a princess if the United States had such a thing. When she is of the age to marry, she is whisked off to Europe with her mother’s hopes of Cora meeting and marrying a man of royalty. She arrives in England and soon after arriving is invited to participate in The Myddleton, a hunt that is done on horseback. Cora is a polished rider but at one point is distracted, trying to avoid another rider who tries her nerves, and runs into a low branch from a tree and is knocked off her horse. A fate would have it; she is found lying on the ground by Ivo Maltravers and is taken to his home to recuperate. Ivo happens to be a bachelor and the newly named Duke of Wareham, a title he has inherited after the death of his older brother. In a quick whirlwind of events, Cora becomes the Duchess of Wareham. She struggles to learn the ways of English Society. However ridiculous they seem to her, she knows she must be accepted by the people in her new country and more importantly she desires to please her husband but has to learn what exactly it takes to please him. Mysteries and scandals run amok in this beautifully orchestrated story. I am so happy to share this review and sincerely hope that you pick this book up to bask in this delightful story. This book is on my wishlist! Sounds like it really is something I would want to read. Thanks for the review!